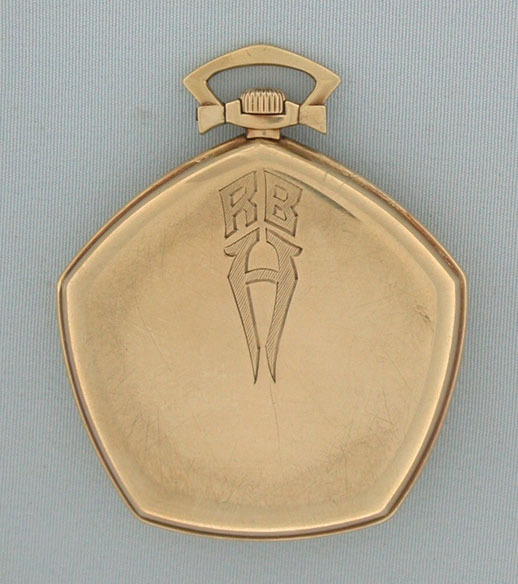 Fine Gruen 14K yellow gold pentagonal 50th Anniversary antique pocket watch with solid gold movement circa 1924. 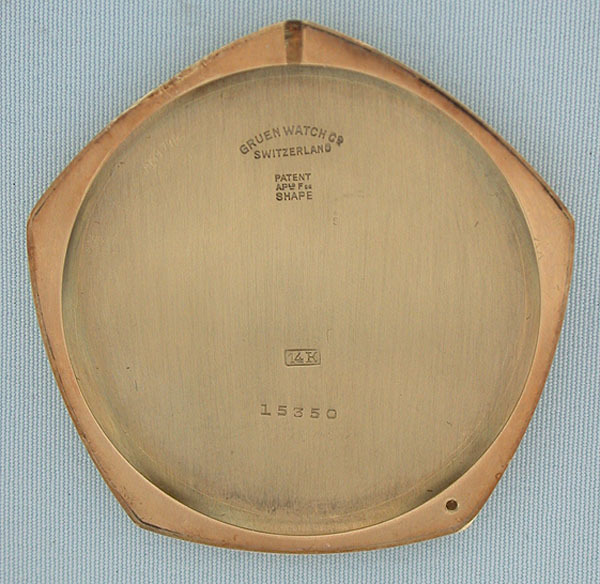 Original silver dial with applied gold numerals and original gold hands. Plain polish case with fancy band, pendant and bow. 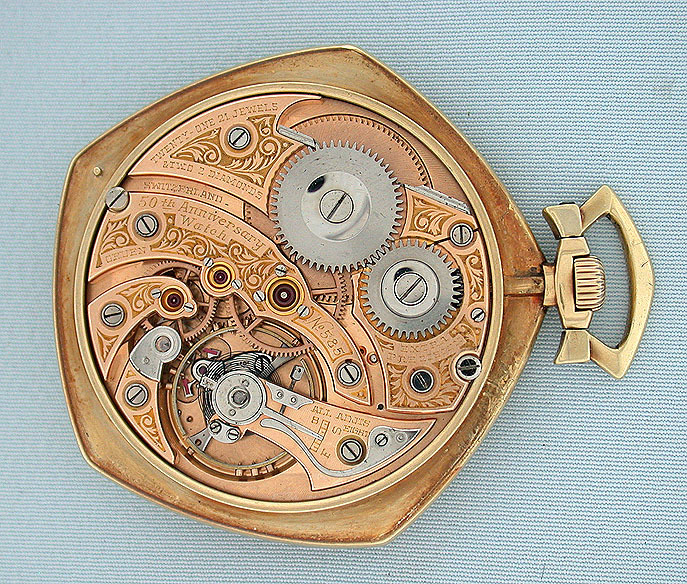 Wonderful 21 jewel (2 diamond caps) 8 adjustment hand engraved solid gold movement #585 marked Extra Precision" (adjusted to 8 positions and temperature) with engraved bridges and precision regulator. Signed on the case, dial and movement. 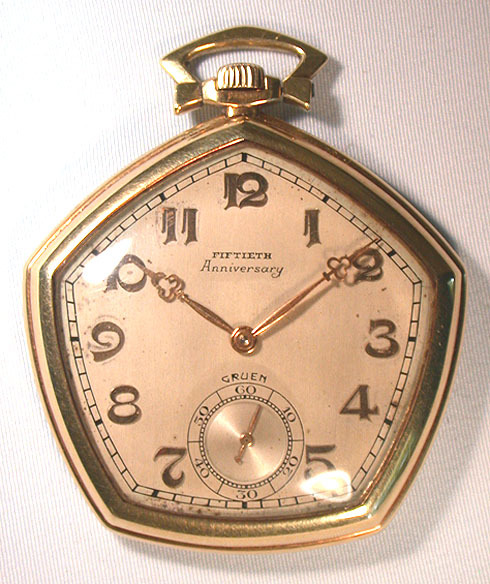 This wonderful watch was made by the Gruen Watch Company in 1924 to commemorate their 50th anniversary. This was one of the most expensive and extravagant watches ever made, promoted by Gruen as "the priceless possession of a few." Only 650 examples were made.